Like many other snorkeling lovers across the globe, you probably are shopping for the right snorkeling gear. As you may be aware, buying your own gear is not only more convenient than renting one every time you go snorkeling; it is the more hygienic option and gives you the chance to choose the components that fit and work with your body type. As you will learn in this guide, there are several aspects that you need to consider while shopping for your gear, including quality, comfortable fit, material and usability. To save you the hustle of having to test and see if each of the available models work, here are five of the best snorkeling gears today. You can buy any of these snorkeling gear options to save time and money. You must be tired of swallowing salt water whenever you go snorkeling because your mask is leaking, right? If so, you need a snorkeling mask you can rely on, such as the Seaview 180 degrees GoPro Snorkeling mask, today. In addition to offering a comfortable fit and full-face coverage, this mask allows you to breathe comfortably under the water. With this mask, you won’t need to worry about clearing water from the snorkel or the mask itself. This may be attributed to the Dry Snorkel Technology used on the mask that prevents gagging and stops water from getting into your mouth. With regards to the build quality, the mask itself is made of polypropylene. This is a very durable, high-quality thermoplastic that is appealing and relatively tough. The skirt part of the mask is made of silicone, which makes the mask soft and comfortable to wear for long periods. What about the lens, you must be wondering. The lens on this mask is made of polycarbonate. As such, it is resistant to shock and will guard your eyes and skin from the harmful UV rays. Additionally, the lens on this Seaview mask features a scratch resistant coating. You will also love the superior vision offered by the lens on this snorkeling mask. The mask is fitted with large adjustable elasticised straps to offer a customizable fit. This also makes the mask easy to wear and remove. The mask features a purge valve that makes it easier for you to drain water from the snorkel and the mask. However, this is a dry snorkelling mask and should not be used for diving below 7 feet below the water surface. If you are looking for a full-face snorkeling mask for dry snorkeling, few options come close to what the Seaview 180° GoPro Compatible Snorkel Mask offers. For this price, you will get a perfect blend of quality and functionality. Some of the aspects you will definitely love about the SealBuddy Fiji panoramic Snorkeling Set is the variety and value for money it offers. With regards to the variety, the manufacturer offers two different sizes and an array of color options for you to choose from. In addition to the mask, fins and snorkel, you will also get a premium travel bag and vest when you buy this snorkeling vest. This set is rated one of the best snorkeling gears today for a reason. To begin with, the set includes a premium panoramic mask. The four windows found on the mask offer you an impressive view whenever you are snorkeling. Additionally, the mask features a concave nose piece. This feature comes handy, when it comes to enhanced ear pressure balance while you are snorkeling. The hypoallergenic silicone skirt on the mask, in addition to fit pinch buckles, makes it comfortable to wear for long hours. You will also love the flexible dry snorkel at the top of this mask. The snorkel on this mask is bendable, allowing you to set it in whichever direction you prefer. Again, the snorkel features a patented dry top ball design that is fully submersible. As such, the mask is good at keeping water away from your face while you are snorkelling. In case some water leaks into your mask, you can use the purge valve to easily get it out. If you are looking for a fair value for your money, you should consider buying the SealBuddy Fiji panoramic Snorkeling Set. In addition to high quality, basic snorkeling components, you will also get a premium travel bag and a vest. Available in several color and size options, the Cressi Palau Snorkeling set is of high quality and offers a comfortable fit. The two-window mask features a silicone skirt edge and an adjustable buckle to offer you the comfortable fit you are looking for. 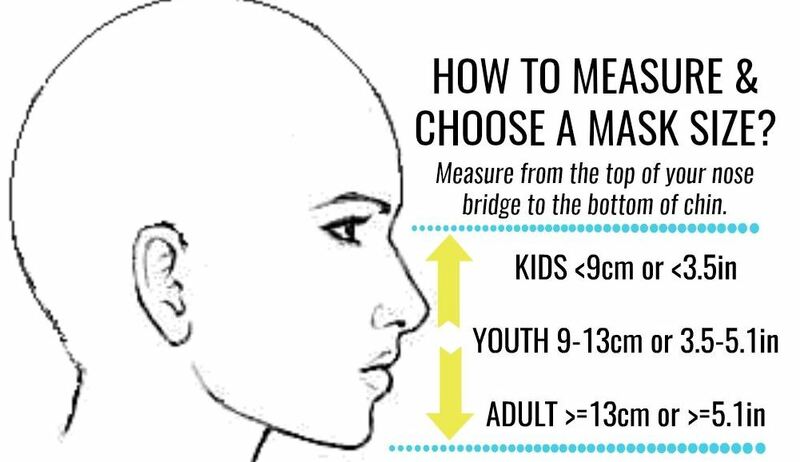 You will also love the appealing low-profile that is aesthetically appealing and compatible with most face shapes. The model features a dry snorkel, which means that water cannot get into the tube while you are diving. Additionally, this feature makes the mask splash-resistant for a dry snorkeling experience. The large purge valve used on this snorkeling mask makes it easy to get rid of water and clean the mask. This snorkeling gear includes shot fins with adjustable straps. This ensures that you experience less drag while snorkeling. This is very convenient for starters and younger swimmers. This snorkeling gear is a right choice for travelers. Not only are the various snorkeling components compact and lightweight, the gear is sold with a lightweight travel bag. This makes it relatively easier to carry around while traveling. Are you a novice snorkeler looking for a relatively affordable snorkeling gear of high quality? If so, you should try out the U.S. Divers Cozumel Snorkeling set today. Although it is an affordable snorkeling gear, it contains all the necessary snorkeling equipment, including a mask, fins and snorkel. The Cozumel mask included in this set features dual lenses that offers you a clear view of the surroundings. For a comfortable fit, the mask features a silicone face skirting as well as adjustable 3-way buckles. The fins that come with this gear are of high quality and feature an appealing, yet functional design. In this regard, the fins feature an open-heel design. This makes them compatible with several feet sizes. Additionally, the fins are fitted with adjustable straps for a more comfortable fit. As such, the flippers will fit perfectly on your feet without socks. As opposed to some snorkeling sets within this price range, the snorkel on this gear is comfortable to wear for long hours. In this regard, the gear is equipped with a relatively small mouthpiece that is comfortable to wear. This being the case, you should expect it to cause minimal jaw fatigue while you are snorkeling. Finally, the snorkeling gear comes with a mesh panel bag that will keep the equipment safe and dry, whether you are storing or transporting the gear. If you are working on a limited budget, this is a great snorkeling gear choice. Regardless of its affordability, it offers high quality, functional and reliable components. The set is particularly designed for beginners in the sport. Are you working on a limited budget? You need to check out the Innovative Scuba Concepts MSF4611 REEF Snorkeling Gear right away. This equipment is manufactured by one of the most renowned manufacturers of snorkeling, ocean and diving equipment in America. Having been in this business for more than two years, Innovative Scuba Concepts produces some of the most reliable snorkeling equipment today. This is probably why the manufacture backs the product with a two-year warranty. This is a guarantee that you are buying equipment of the right quality, but what do you get for the price? One of the remarkable components of this package is the adjustable fins. The heels included in this package feature an open-heel design. Additionally, they a have a soft foot pocket that is specifically designed to prevent blisters and enhance comfort. In this regard, the fins are also equipped with adjustable buckles. The manufacturer uses an innovative technology on these fins to ensure that they deliver optimal thrust and less drag. 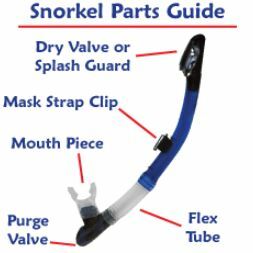 The snorkel on this gear has a silicone mouthpiece that is soft on the mouth and is easy to use. This snorkel features a semi-dry top that is designed to prevent flooding in the pipe. This, in turn, maximizes air flow and makes it easier for you to breathe while snorkeling. Another thing you will love about this snorkeling gear is the lenses. The ultra-clear dual lens used on the snorkeling mask is watertight and fog resistant. In addition to being aesthetically appealing, this gear offers high quality snorkeling equipment that uses the recent technology. As such, you will get a clear view, dry snorkeling experience form the mask, and a powerful and less tiring thrust experience from the fins. At this low price, you will also get a carry bag with your Innovative Scuba Concepts MSF4611 REEF Snorkeling Gear. The snorkel is the flexible, tubular component n the gear that allows you to breathe with your face facing downwards under water. The ease with which will be able to breathe while you are submerged under water largely depends on how compatible your snorkel is to your body. In this regard, you need to ensure that your preferred snorkeling gear has the right snorkel for your body type. Basically, the available snorkels available today may be grouped into four main categories, the traditional standard models that do not have bells or whistles, the semi-dry snorkels, dry snorkels and roll-up snorkels. The semi-dry snorkels feature a cover to deflect water. This type of snorkels is not the right choice if you would like to dice into the water because the snorkel will flood. The dry snorkels, on the other hand, are equipped with a floating valve that closes whenever you are submerged in the water to prevent flooding. If you are looking for a model that is easy to carry around, you should consider buying a roll-up snorkel. The various roll-up models available today can fit into conventional pockets, hence are easier to transport. For adults, you should consider buying a snorkel with a bigger diameter as it allows more air in and out, making it easier to breathe. However, children may have a hard time blowing the water out. As such, snorkels meant for use by kids should have a smaller diameter. If you have ever shopped for snorkeling gear before, you can attest to the fact that getting the right fit for the snorkeling mask is not easy. As you look for the right mask for snorkeling, you must get one that is comfortable to wear for long periods. The best way to go about this is to visit a local retail shop and try the various snorkeling masks they have. In these regards, there are several aspects of the mask that you need to consider. To begin with, the mask has to be of the right size. With regards to the sizing, the right mask should be able to cover your nose and eyes comfortably. Again, you need to buy products of high quality. This is because poor quality, masks tend to wear away rather fast as the keep fogging up under the water. Although masks with a plastic lens are comparatively cheap, you should consider buying the masks that have clear tempered glass lens as they are of the best quality. As for the seal, you should opt for the masks with a double silicone seal as opposed to the models with a single rubber seal. Some of the best snorkeling masks today are equipped with purge valves. While this is an optional feature, the one-way valve will be very helpful whenever you are expelling water that has leaked into your mask. However, it is advisable to opt for a mask that does not leak, regardless of the water expulsion mechanism it has. Snorkeling fins come on a myriad of appealing designs today. However, you choice should not be influenced by the visual appeal of these components. Basically, you need to buy fins of high quality and the right design, which is mostly determined by your skill level. While choosing the right fins, you will realize that there are many things that you need to consider. If you are a beginner, it is advisable to buy the full-foot snorkeling fins. These are comparatively cheaper and easier to wear and use. However, some of the best full-foot fins should be worn alongside booties. You may also be interested in the free-diving snorkeling fins, which feature long blades. These fins are known to deliver optimal power with fewer kick cycles. However, some scuba divers find the free-diving fins unruly or too long. If you happen to dislike the long fins, you may choose the shorter, sport scuba fins. The later type of fins is relatively more comfortable to wear under the water. Finally, you also need to consider the straps used on your preferred snorkeling fins. In this regard, you need to choose between spring straps and the conventional rubber straps. Most divers today prefer fins with the spring straps because they are relatively easy to wear and remove. Additionally, the spring straps do not require any adjustment to offer a comfortable fit. While snorkeling is an interesting activity even more fun then kayaking, the much fun you are going to have while at it will mainly depend on the snorkeling gear you have. As such, you need to be very careful while shopping for the right gear. With this guide, it should be easy for you to choose the best snorkeling gear in the market today. Alternatively, you can buy any of the five reviewed above as they are some of the best.